If you don’t see the question you’re looking for, scroll to the bottom and fill out the form or call us at (303) 238-0451. Yes! 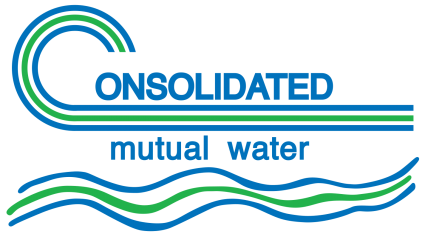 Consolidated Mutual Water Company’s water passes all regulatory mandates. Colorado’s Department of Public Health and Environment and the U.S. Environmental Protection Agency specify all regulations. We have certified, knowledgeable and dedicated Staff who work 365 days a year, 24 hours a day to make sure you have safe, high-quality water delivered to your tap. The Maple Grove service area receives water from several sources. Approximately 90% of the water is diverted primarily from Clear Creek. Lena Gulch, Coal Creek and raw water delivered from Gross Reservoir make up the remaining 10%. The Denver Water service area receives water from watersheds that cover over 3,100 square miles on both sides of the Continental Divide. 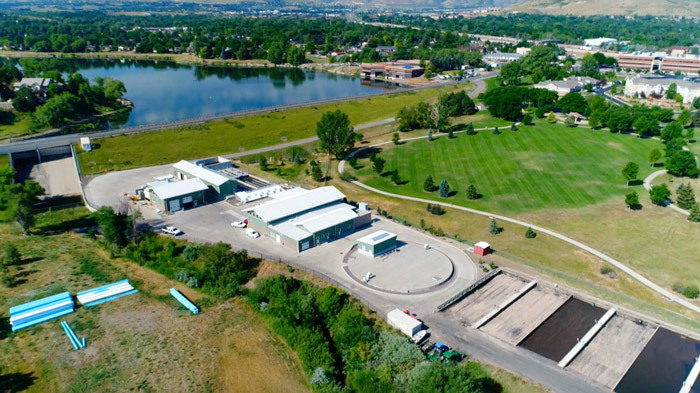 Water is transported from the Colorado, Fraser and South Platte Rivers through Denver Water’s collection system. Why does my water sometimes smell funny or taste bad? There are several reasons why water can smell funny or taste bad. For example, water can pick up odors or taste from new plumbing. Also, if you have not turned on your water after an extended period (you’ve been on vacation for two weeks), it can begin to smell different. Most often, taste and odor events occur seasonally during blooms of algae or aquatic plants. While the algae are completely removed during treatment, sometimes the odors persist. Tastes and odors in treated water are not harmful, but we do take steps to try and eliminate them. Why does my water sometimes appear discolored? Discoloration is usually a result of the water picking up rust from aging pipes. It is NOT harmful, but it can hurt the water’s “aesthetics.” Long-term discolorations may also be a result of sediment building up in a pipe, and it may be time for cleaning of your service line. If you would like details regarding our service line maintenance plan and to find out if your neighborhood is on the list, or to schedule an appointment with one of our Consumer Service personnel, please call us at (303) 238-0451. Why does my water look cloudy or milky? Air pockets are created due to the siphon action when the faucet is closed. The air pockets create small air bubbles which cause the water to look cloudy. The air will dissolve in a couple of minutes. What chemicals do you put in the water? Initially, chlorine dioxide is added as a preoxidant to remove taste and odors and dissolved metals. When needed powdered activated carbon, (PAC) can be added for heavier taste and odor events, and potassium permanganate can be added for our heavier manganese events. Then poly aluminum sulfate, (PACL) is added to bind with foreign matter such as dirt particles and organic carbon forming larger clumps that can be removed easily during the first part of the treatment process (sedimentation). After filtration, free chlorine is added to the water to protect the drinking water from potentially harmful microscopic organisms. If needed, a potential of hydrogen (pH) adjustment can be managed with sodium hydroxide to make the water neutral for corrosion control. pH adjustments keep the water from leaching the lead or copper from the pipes within your homes but is normally not needed as our source waters are fairly neutral in pH. Once the water is ready for distribution in the system, we add ammonium sulfate which changes the free chlorine to chloramines. Ammonium sulfate ensures the water doesn’t smell like a swimming pool and is a longer-lasting disinfectant. Your tap water is perfectly safe. If you have an internal problem with your plumbing, consider a filter or treatment system. Do I need to take special considerations for my fish tank? Yes, you should always use a dechlorinating agent to rid your tank of excess chloramine. Dechlorinating agents are available commercially at most pet stores. Is there lead in my water? If lead is present, is there anything I can do about it? Homes built between 1982 and 1987, which used copper pipe and lead-based solder. If your home fits into one of the categories stated above, you should conduct a thorough review of your plumbing system. Should I be concerned about radon in my water? No, Consolidated Mutual Water Company uses only surface water such as reservoirs and streams to produce drinking water; there is no Radon in surface waters. Can toxic spills that seep into the ground or groundwater contaminate my drinking water? It is highly unlikely that toxic spills on the ground or into groundwater could contaminate Consolidated Mutual Water Company’s drinking water since our treated water system is a closed filtration process. What are Cryptosporidium and Giardia? Cryptosporidium and Giardia are microorganisms that can affect human health if they are in drinking water. While both organisms exist in our source waters, none of them exist in our treated water. Effective filtration and the addition of chlorine during the treatment process eliminate the threat of sickness from these organisms. Can I drink hot tap water? No, don’t use hot water from the tap for food or beverage preparation. Your hot water systems (tanks and boilers) contain metallic parts that corrode over time and contaminate the hot water. Instead, use cold water and heat it up for warm beverages or food preparation. Some people may be more vulnerable to contaminants in drinking water than the general population. Immuno-compromised people may have a higher risk of infections; including people with cancer who are undergoing chemotherapy, people who have undergone organ transplants, people with HIV/AIDS or other immune system disorders, and some elderly persons and infants. These people should seek advice about drinking water from their healthcare providers. Environmental Protection Agency (EPA) and Centers for Disease Control guidelines on appropriate means to lessen the risk of infection by Cryptosporidium and other microbial contaminants are available from the EPA’s Safe Drinking Water Hotline at 1 (800) 426-4791. To ensure that tap water is safe to drink, the EPA prescribes regulations which limit the level of contaminants in water provided by public water systems. Food and Drug Administration regulations establish limits for contaminants in bottled water which must provide the same protection for public health. Cryptosporidium and Giardia are microscopic organisms that, when ingested, can result in diarrhea, fever and other gastrointestinal symptoms. These organisms exist in Colorado’s rivers and streams; however, they are eliminated from drinking water by an effective treatment combination including filtration, sedimentation, and disinfection. The Maple Grove and Denver treatment facilities monitor treated water for these organisms. Total Trihalomethanes are by-products of the disinfection process. Regulations require that they are reported to the Colorado Department of Public Health and Environment (CDPHE) by running annual averages. As water travels over land surface or underground, it dissolves naturally occurring minerals and radioactive material and may be polluted by animals or human activity. Contaminants that might be expected in untreated water include biological contaminants, such as viruses and bacteria; inorganic contaminants, such as salts and metals; pesticides and herbicides; organic chemicals from industrial or petroleum use and radioactive materials. Potential sources of contamination in our source water area, as defined by the Colorado Department of Public Health & Environment, can come from these sites; the United States Environmental Protection Agency (EPA) Hazardous Waste Generators, Toxic Release Inventory Site (aboveground), Underground & Leaking Storage Tank Sites, and Existing/Abandoned Mine Sites. Other causes of contamination can come from dispersed sources of land use and cover types such as; Commercial/ Industrial/ Transportation, high-intensity residential, urban recreational grasses, row crops, fallow, pasture, hay farmland, deciduous forests, and leaching septic systems. The Source Water Assessment Report provides a screening-level evaluation of potential contamination that could occur. It does not mean that the contamination has or will occur. We can use this information to evaluate the need to improve our current water treatment capabilities and prepare for possible future contamination threats which will help us ensure that quality finished water is delivered to your home. Also, the source water assessment results provide a starting point for developing a source water protection plan. Drinking water, including bottled water, may be reasonably expected to contain at least small amounts of some contaminants. The presence of contaminants does not necessarily indicate that water poses a health risk. Obtain more information about contaminants and potential health effects by calling the EPA’s Safe Drinking Water Hotline at 1(800) 426-4791. Lead & Copper are sampled at “high risk” homes with lead service lines or lead solder used in pipe fittings. The regulations state that 90 percent of the samples taken must be below the action levels of 0.15 parts per million for lead and 1.3 parts per million for copper. If you are concerned about lead in your water, you may wish to have your water tested. Information on lead in drinking water, testing methods and steps you can take to minimize exposure is available from the Safe Drinking Water Hotline or at www.epa.gov/safewater/lead. El presente informe contiene información muy importante relacionada con el agua potable. Si quiere esta información en español, lame al 303-628-5986. Submit a new FAQ using the form below or call us at (303) 238-0451. Your name will not be publicly published with your FAQ. Your email address will not be publicly published with your FAQ. Your phone number will not be publicly published with your FAQ.